Disneyland lifts my spirits. My visits are the highlight of my year. Something about the park, makes me fall in love more and more with each visit. Just glancing over these incredible shots makes me want to pack my bags and hop on the plane right now. The photos we have collected below all come from Mike Billick, just one of the photographers who contributed to our Disneyland Secrets wall calendar. Without further ado, here are ten Disneyland photos that will make you want to visit right now. 10. Ariel’s Undersea Adventure on a bright sunny day. 4. 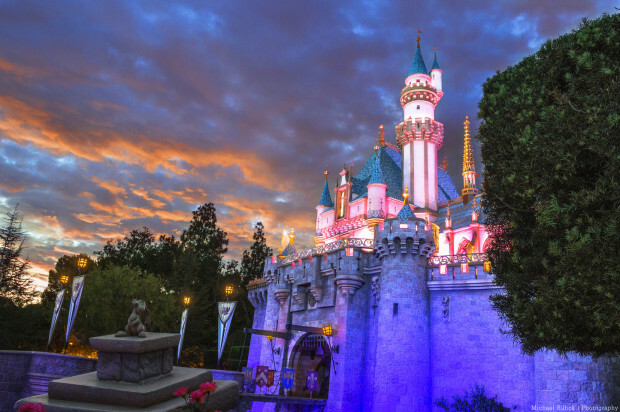 Gaze at the sunset over Sleeping Beauty Castle. 3. Adore the Snow Wishing Well and Grotto. 2. 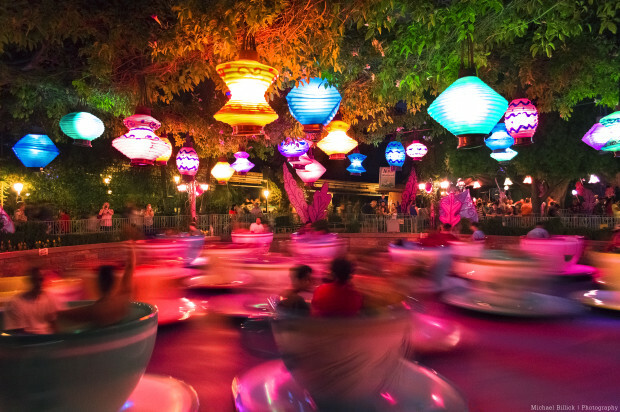 Take a Spin on the Mad Tea Party Spinning Teacups. 1. Why not DROP into the Tower of Terror on this beautiful California day. 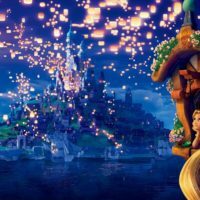 Love these beautiful Disneyland photos? 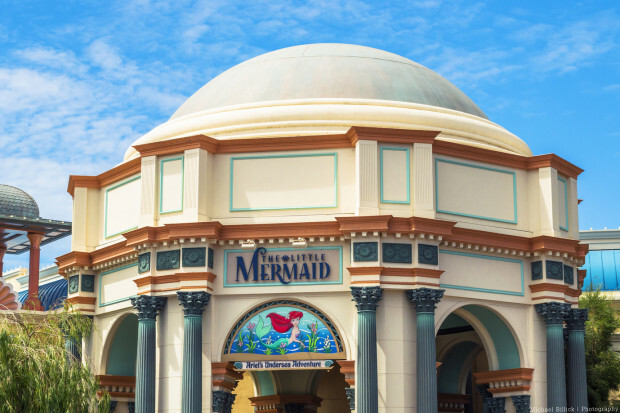 Located on the edge of the glittering Paradise Pier area, Ariel’s Undersea Adventure takes you under the sea and through the story of the Little Mermaid. This is a great attraction, with AIR CONDITIONING, that is almost always less than a five minute line. Save this for the afternoon, and enjoy the beautifully upgraded attraction. 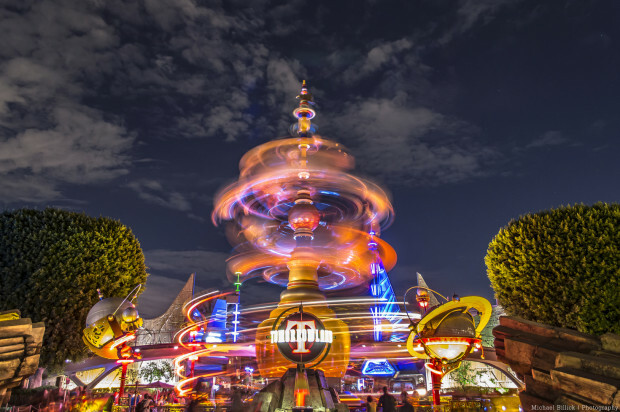 The kinetic movement of the Tomorrowland Orbitron draws you into the land. This is one of the beautifully designed “weenies” featured in the Disney theme park. You can read the full story on what a weenie is, how they came to be named this, and what the weenies throughout the park are in our new book : Disneyland Secrets: A Grand Tour of Disneyland’s Hidden Details. The Disneyland Main Street Station is the first thing and the last thing that you see during any trip into Disneyland Park. 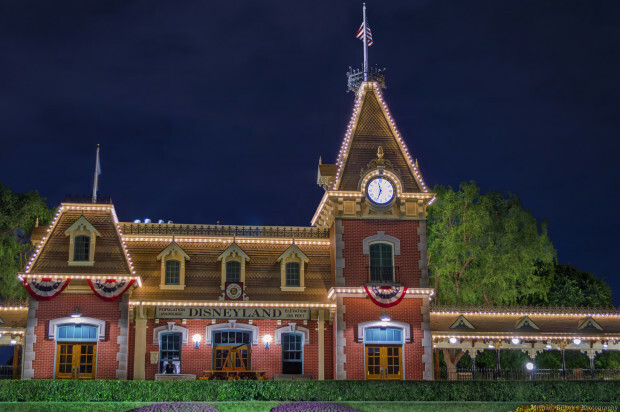 This beautiful station serves as a beacon drawing excited guests farther into the magical land. I recently rode around the park inside the Ernest S Marsch engine, and the train lover in me went crazy. 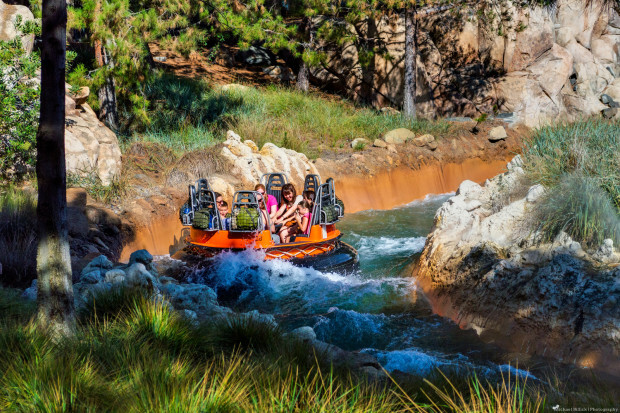 Nothing feels better than a ride on Grizzly River Rapids on a hot day. In fact, my favorite time to ride is in the cold season or at nighttime when I can just ride around and around multiple times without any wait. Of course I pack my poncho and put plastic bags from the store at the exit to the attraction over my shoes before I get on. 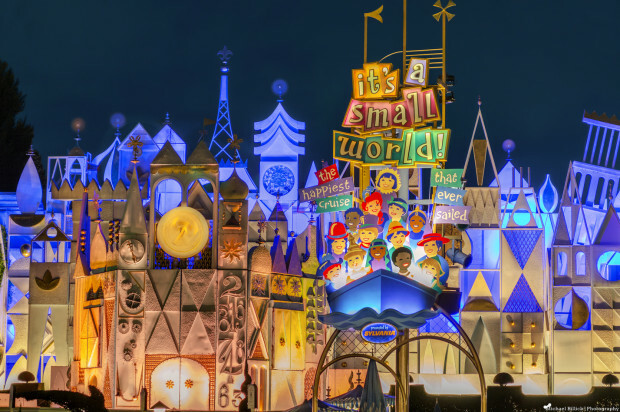 It’s a Small World and the accompanying theme song is one of the most iconic pieces of every Disney theme park. This “happiest cruise that ever sailed” provides an incredible journey around the “world” past hundreds of cute singing dolls. I love the shot below that really brings the nighttime attraction facade to life. 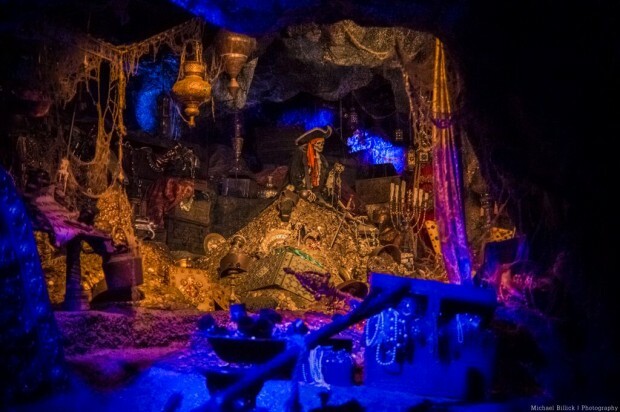 For the first twenty times I rode the Pirates of the Caribbean, I tried to take photos of the incredible sets and fast moving figures. But, every one turned out too dark or blurry. Instead of taking the incredible dark ride photo tips from our friend Tom Bricker, I have decided to settle for the better photos that others take of the attraction. There is no time that I like more than dusk in Disneyland. I love to take photos of my own during this time, in fact that’s when I took the iconic photo of the top of Pirates of the Caribbean that now serves as our podcast cover art. This shot of the castle perfectly captures the time when the sun is still shining but the lights have come on around the park. The Snow White Wishing Well is one of my favorite areas of the park. In the late afternoon, when the trees are perfectly providing shade for the area, I love to sit and gaze at this beautiful scene. There is a great story behind the origins of the marble statues, that you can read here. The Mad Tea Party teacups are one of my dad’s favorite attractions. On almost every visit we jump in one of the tea cups and go for a whirl. 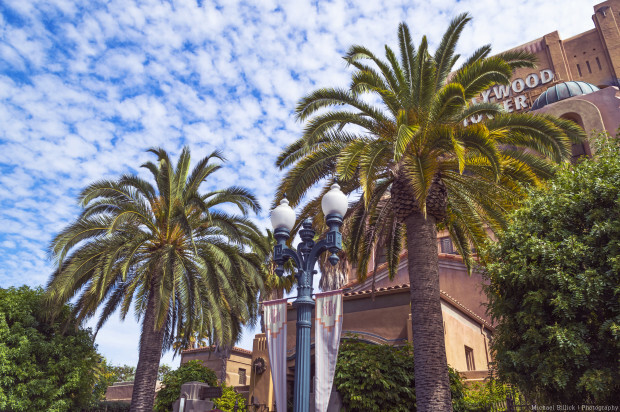 The Hollywood Tower Hotel, with all of the greatest glitzy and glamor of the Hollywood golden age is one of the best themed attractions in Disney California Adventure, aside from Cars Land. 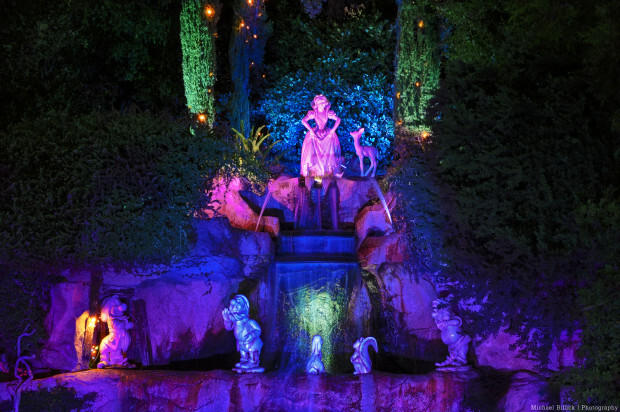 You need to check out our new 2016 Disneyland Secrets calendar. 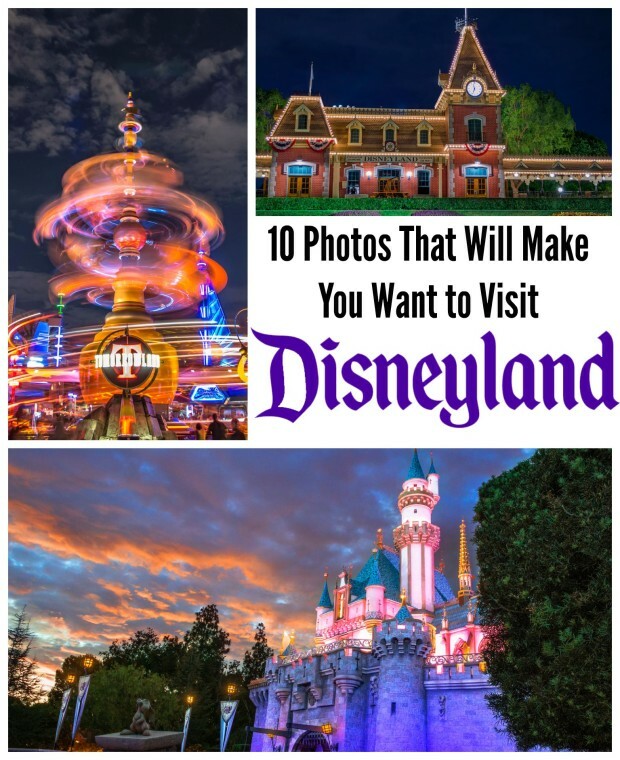 This calendar features breath taking photos of Disneyland that will keep the magic alive even when you can’t make it to the park. Plus, each month features stories from my book: Disneyland Secrets: A Grand Tour of Disneyland’s Hidden Details. These stories and photos will keep you living the magic all year long. If you enjoyed the article, please SHARE it and then join us on Facebook and on our newsletter. 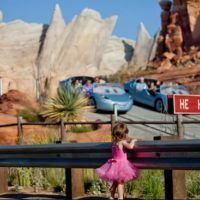 Every time I see a Disney photo I want to plan a trip with the grandkids! I agree! Glad that you enjoyed the article. I cannot wait for our trip in September!! Just bought your book which I’m sure I’ll read a few times before then! Do you have any info On Mickey’s Not So Scary Halloween Party?? 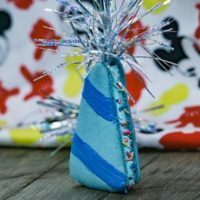 You can find information on the party at MickeyVisit.com.